So sorry to hear this! Having a sick child is so hard... Wishing you all the strength you need! Another tip: we contacted our local 911 emergency network to update our address info for a child with epilepsy. Hope these fallbacks will not be necessary but the peace of mind is worth the effort for us. Paperscribe said what I would have said. 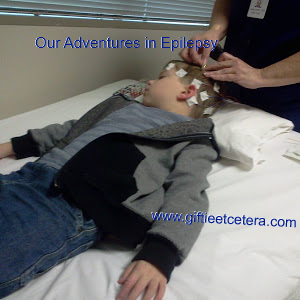 A friend's son developed epilepsy as a child, too. Now he is 19 and in college. He lives a pretty normal life. My prayers go out to you. I cannot imagine what you are going through, but as a child dealing with this, I can totally empathize with him. 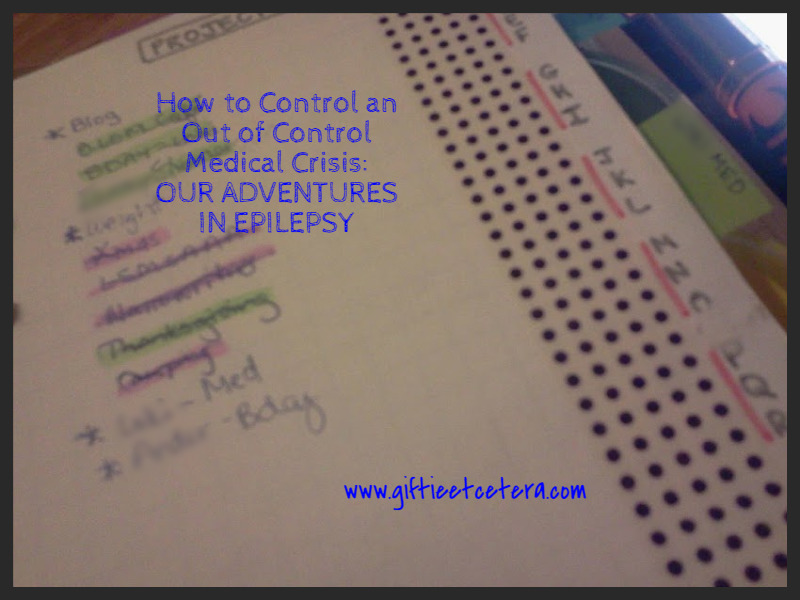 Had my first seizure and diagnosis at age 5. I'm no longer on medication, but all the battles and adjustments just make every little victory that much sweeter. I confess. 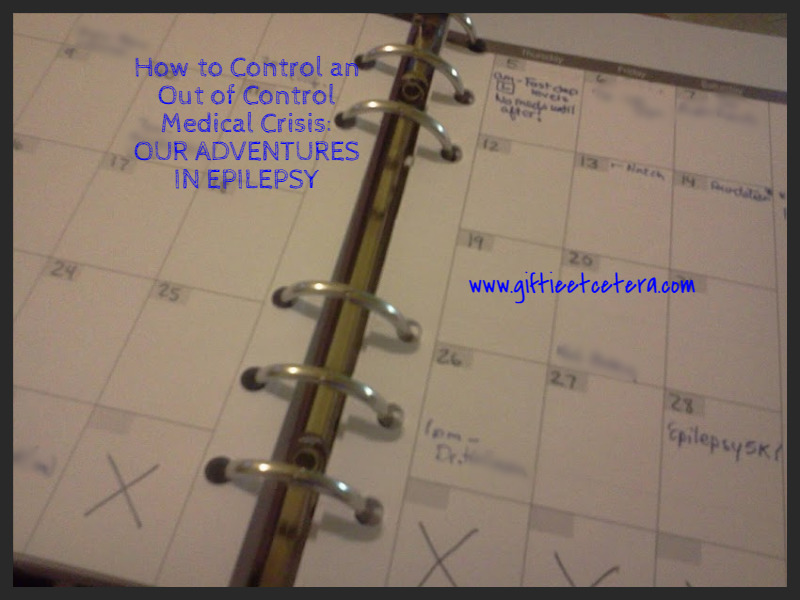 I saw part of your blog title and didn't want to click it because I didn't want it to be about seizures. My 15yo daughter experienced her first one about 10 days ago. It still haunts me as I was the one that found her. It was totally out of the blue with no family or personal history. We have an appt. with a neurologist tomorrow. The ER doctor put her on Keppra until we could get to the neuro. I'm hoping he can adjust her medicine as she's always tired and sleepy. We are praying for answers too. This is so new to us and a normal life without worry is hard to imagine right now. Leaning really hard on God during this. I hope you get answers too. I am finding comfort in the moms and people that have learned how to life in spite of this. Thanks for sharing! I am so sorry that you and your family are in this. I don't have any advice, just wanted you to know you are in my prayers. I'll be thinking about you, Angie, in a special way! I am so sorry your little guy and whole family is dealing with this! Thank you for sharing the journey and these really thoughtful ways to navigate through such a difficult experience. I love your tip to schedule in time to relax and be together - what an important one! Self-care can be so easy for moms to put on the back burner, but of the utmost importance to have the strength through it. Thank you for linking up at #MeetUpMondays. Nice to meet you and follow along now, with prayers for your family! Thank you for sharing this experience. As an epileptic myself, I know how difficult it is for the family, especially when seizures are spectacular (general tonico-clonic seizures). As doctors will ask about these, I really recommend to log seizures (date/time/type/time of consciousness recovery), medication (name/dosage/any undesirable effect), tests (date/doctor/results), but you already mentioned that (^-^). Do you have a particular layout for tracking them? I also recommend a good lifestyle with enough sleep, least stress as possible and, of course, a good medication compliance (I learned it the hard way...). In most cases, epilepsy disappears after childhood, so hopefully your little one will be fine. In the meantime, I wish you all the physical and mental strength to manage this.